Gardeners of the past really knew what they were doing. I often wondered why I’d find a clump of Iris on a slope by an old house. It wasn’t until I had to find my own solution to an unsightly drainage area that I realized the massive benefit of heirloom plants and Heirloom Iris. Our house is located in a flood zone, right next to a dry creek bed. Lots of sandy, granite gravel. We have a drainage pipe by the street, and on either side, the land makes a sharp slope into the ditch. It was so ugly. So so so ugly! Nothing grew on the slopes. In the rain, it was like a granite muddy mess….. So I planted some heirloom flowers. Iris to be exact. The root systems of the Iris are tough and quite strappy. Iris grow where other plants would not dream of trying, and the roots of the Iris actually hold the soil together. Iris multiply quickly and need very little water. 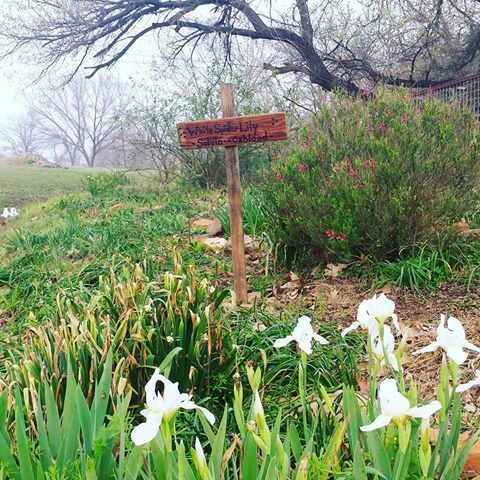 Heirloom bulbs, like old Iris, are the perfect addition to unsightly barren places. Heirloom Iris can be found in old homesteads, cemeteries and other places of the past. Modern gardens have forgotten that flowers are not only beautiful, but can useful and necessary with challenging soil issues, especially due to erosion. Plant some Heirloom Iris. You will be glad you did! Happy gardening friends. We are changing the world one beautiful flower bulb at a time.